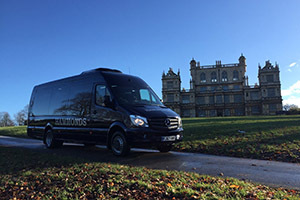 Hammonds Coaches of Nottingham specialise in providing quality coach hire across Nottingham and the East Midlands. We are the coach operator of choice for many clubs, societies, sports teams, schools and tour companies. 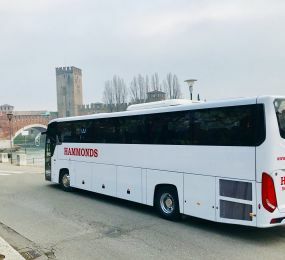 From the shortest of local journeys to tours taking in the farthest corners of Europe, we have a coach and a driver for the job. 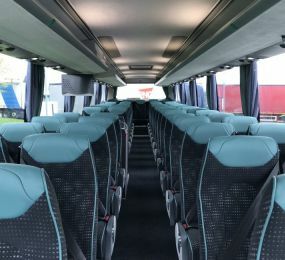 Our late model European built Scania and VDL coaches come with up to 53 seats and are fitted as standard with seatbelts, air conditioning, DVD / CD player and toilet. If you need a larger vehicle our Volvo double deckers are ideal for local journeys with 80 seat-belted seats. We are also very proud of our courteous and experienced drivers. Smartly uniformed, we are certain that they are some of the best and most knowledgeable in the business. 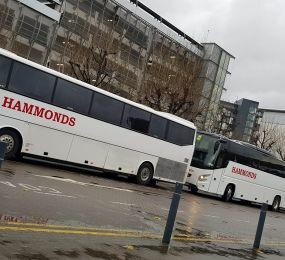 We ensure that they are all DBS checked and we invest in regular training for them to make sure they remain some of the best the coach hire travel industry has to offer. We also maintain our own vehicles in house to the highest of safety standards. Abroad, we are covered by a 24-hour breakdown service for each of our vehicles. In the unlikely event that something does go wrong, you and your group are back on the road quickly. 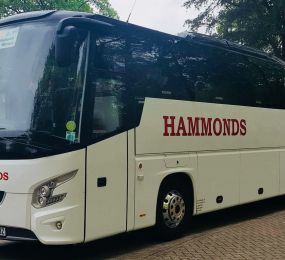 So, if you are looking for a reliable, friendly coach hire company that will look after your group from the moment we take your booking, you need look no further than Hammonds Coaches. 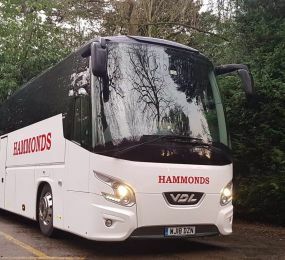 Don't just take our word for it, have a look at our gallery page to see where we go and our testimonials page to see what our customers say about our coach hire services. 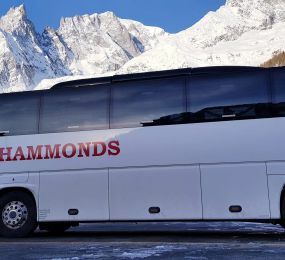 "Hammonds Coaches has one of the most modern fleets in the East Midlands"